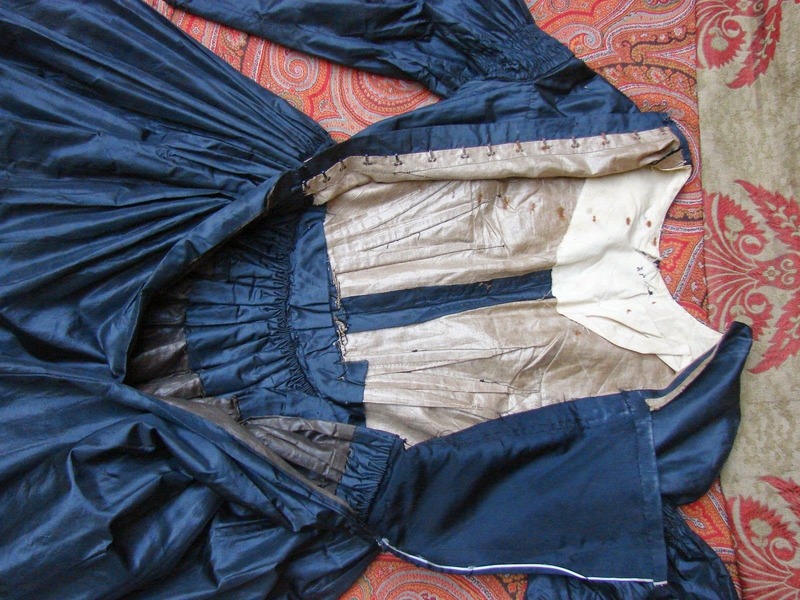 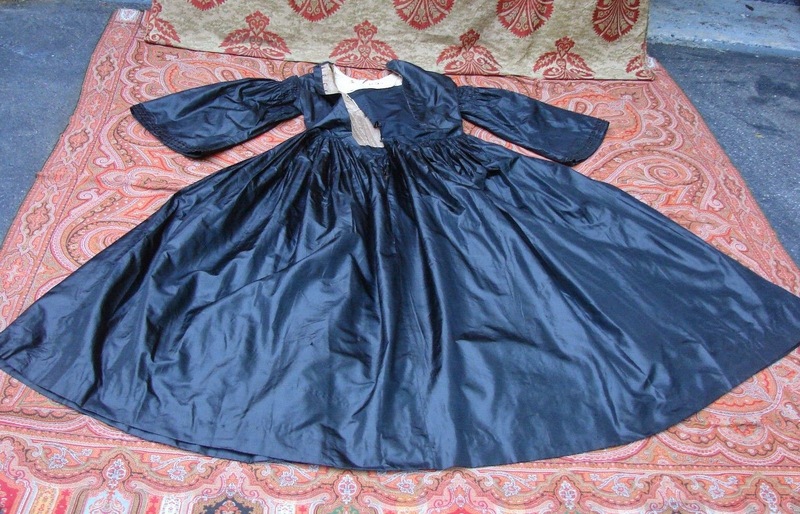 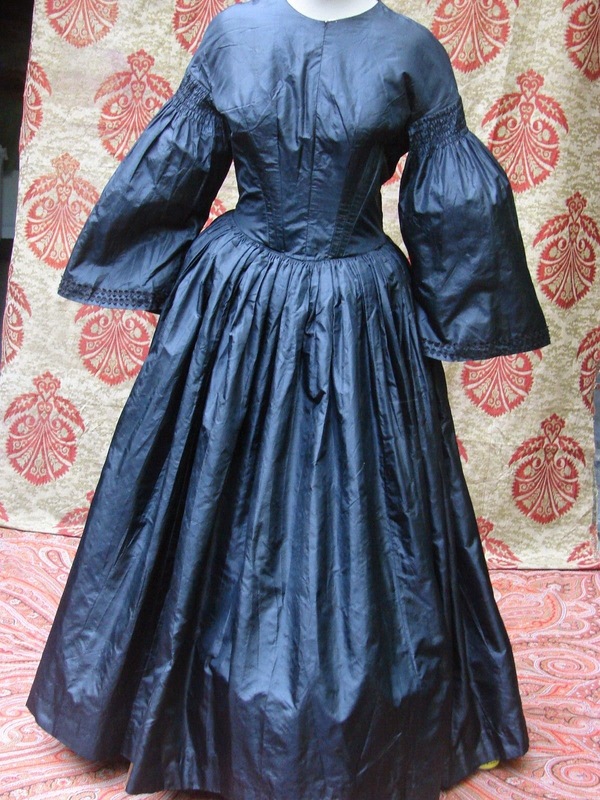 My guess is this was originally an 1840's dress remade several times. 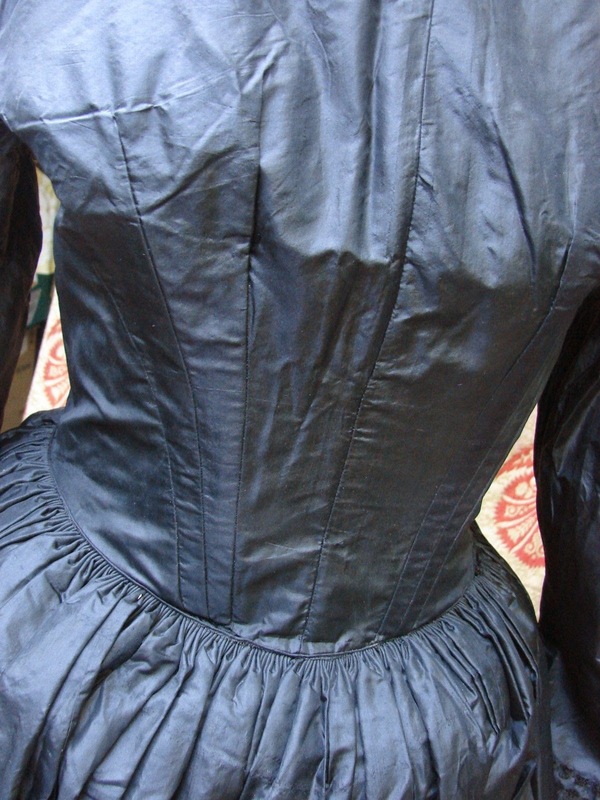 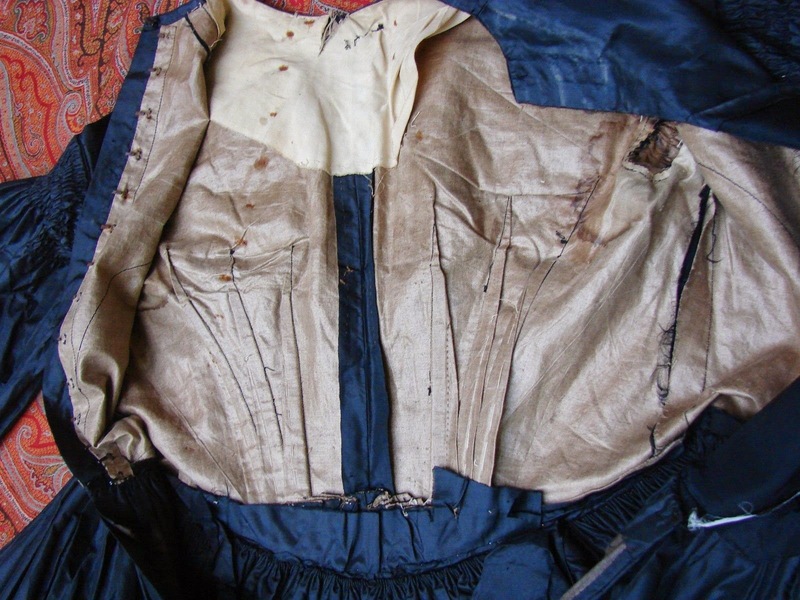 The way the waist of the bodice looks and the shoulders is more common in the 1840's - but the point looks to have been cut off. 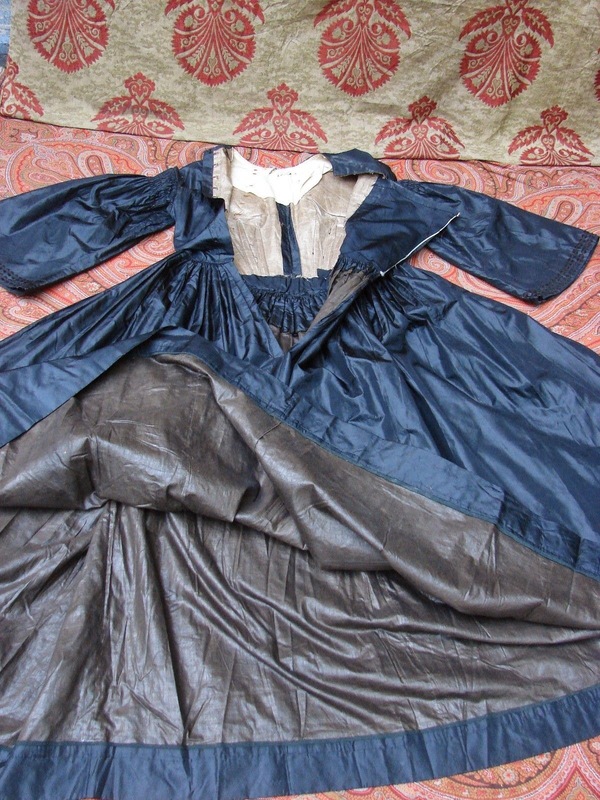 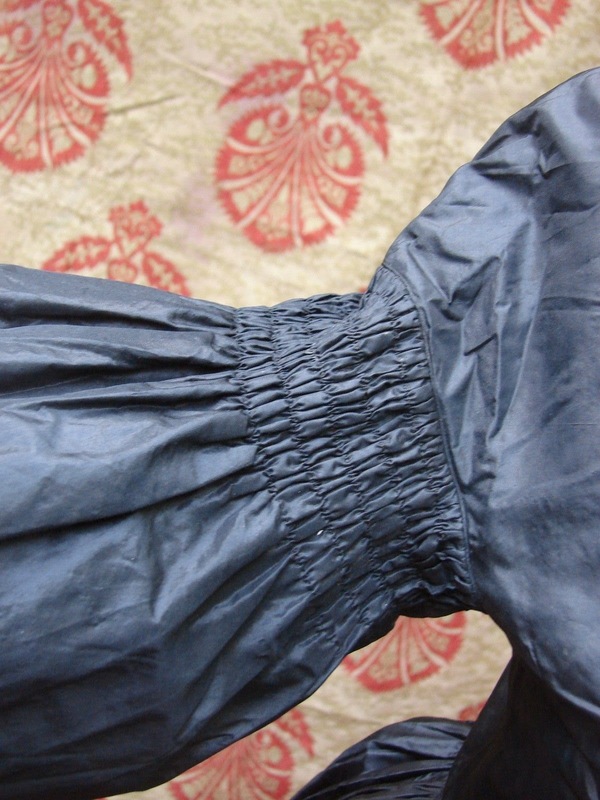 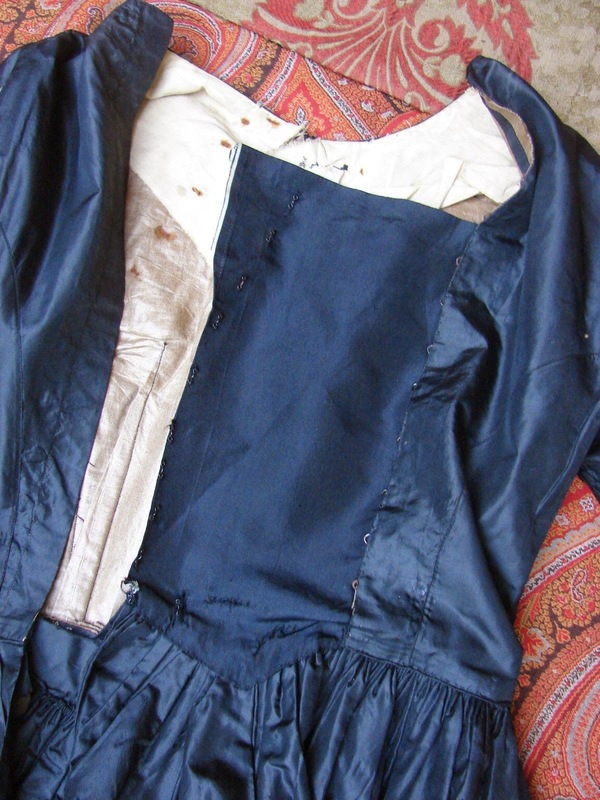 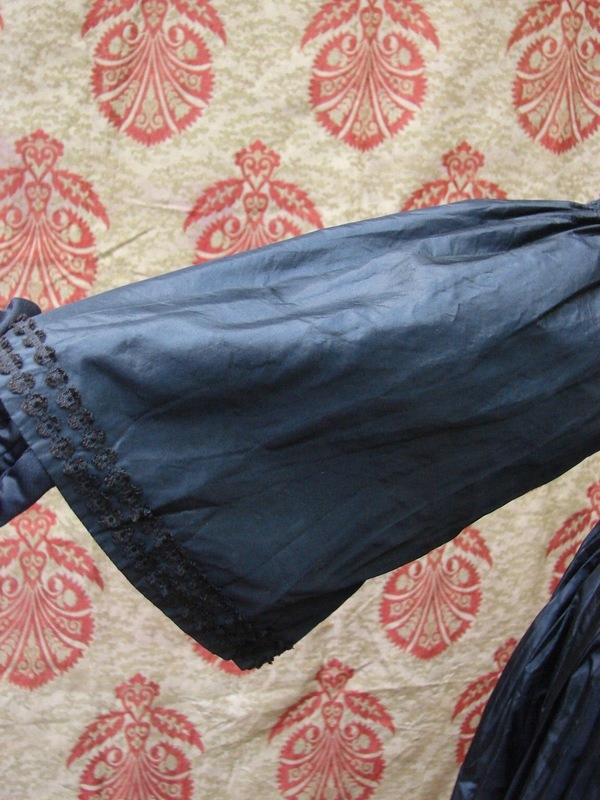 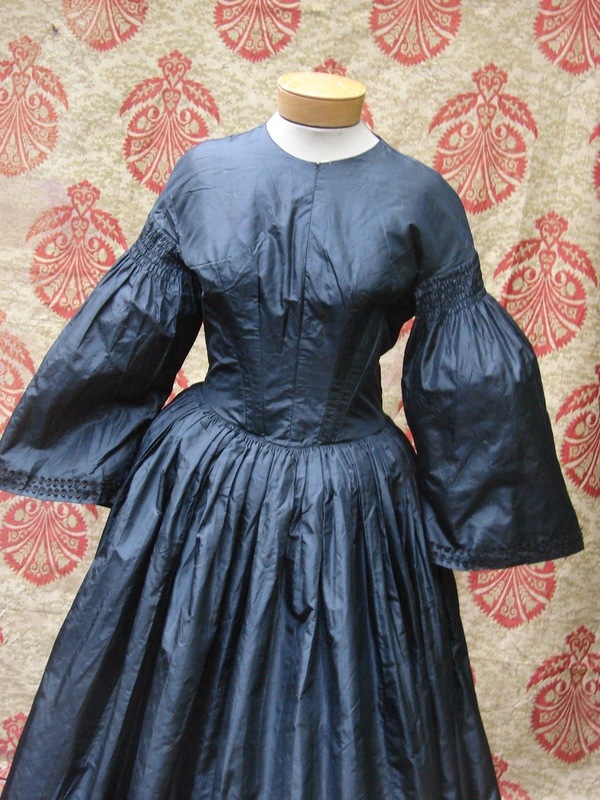 The shoulder detail is also more common in the 1840's - it looks like someone took the cuff of the sleeve so it would look like a pagoda sleeve rather than just a puffy sleeve.